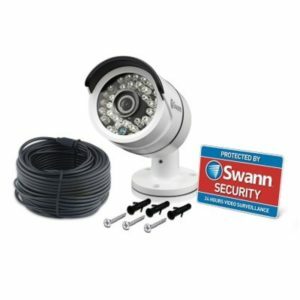 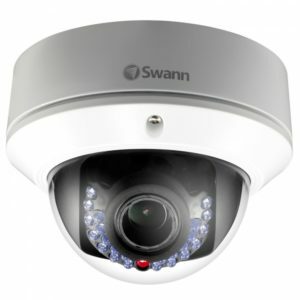 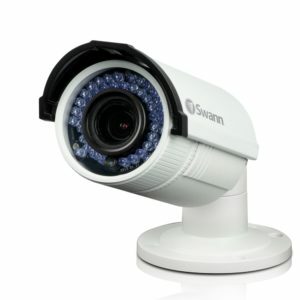 With an IP66 weatherproof rating and functionality in extreme temperatures, the 3MP Outdoor Bullet Camera from Swann is designed for use in a wide range of circumstances. 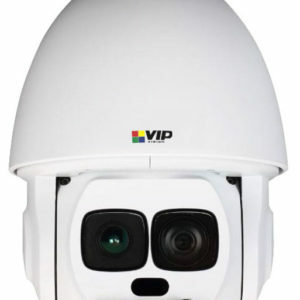 The camera features 2048 x 1536 high-definition resolution, allowing you to use it in the license plate or face recognition applications. With a 4mm fixed lens, the camera can capture a 75° field of view for a wide coverage area. 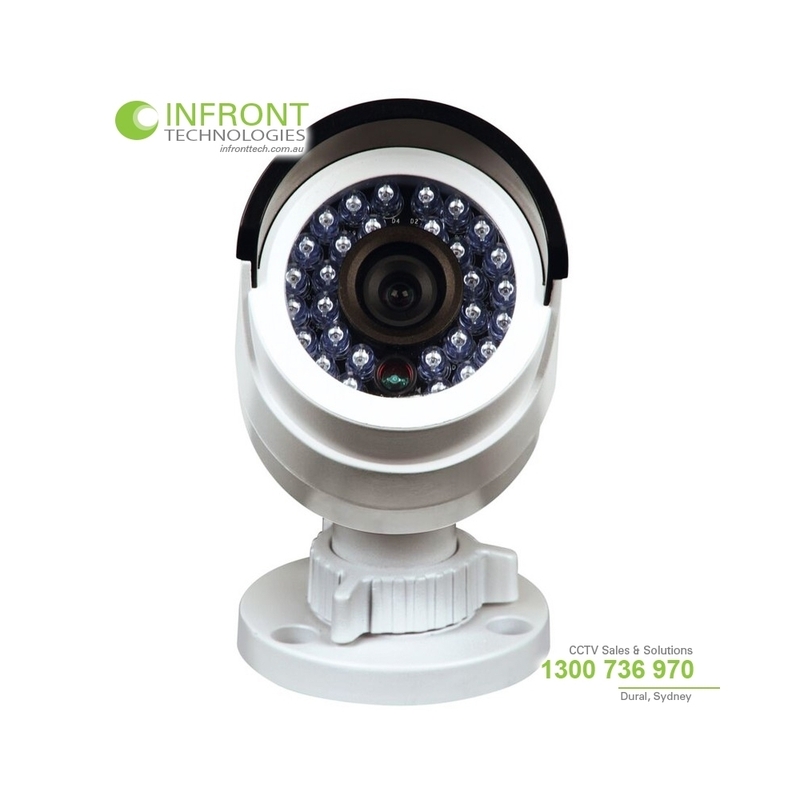 Additionally, a twist-lock mechanism enables you to make easy adjustments to your angle of view for focusing on areas that are most important to you. 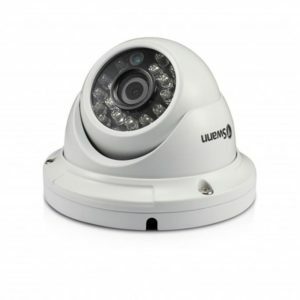 IR LEDs surround the lens, providing illumination for up to 100′ of night vision. 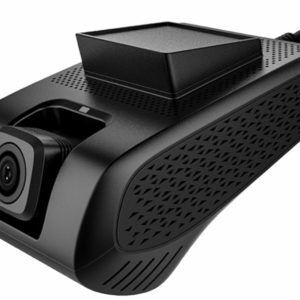 The camera’s aluminum construction is durable for long-lasting use, and PoE technology allows you to use one wire for both data and power, offering a simple and easy setup. 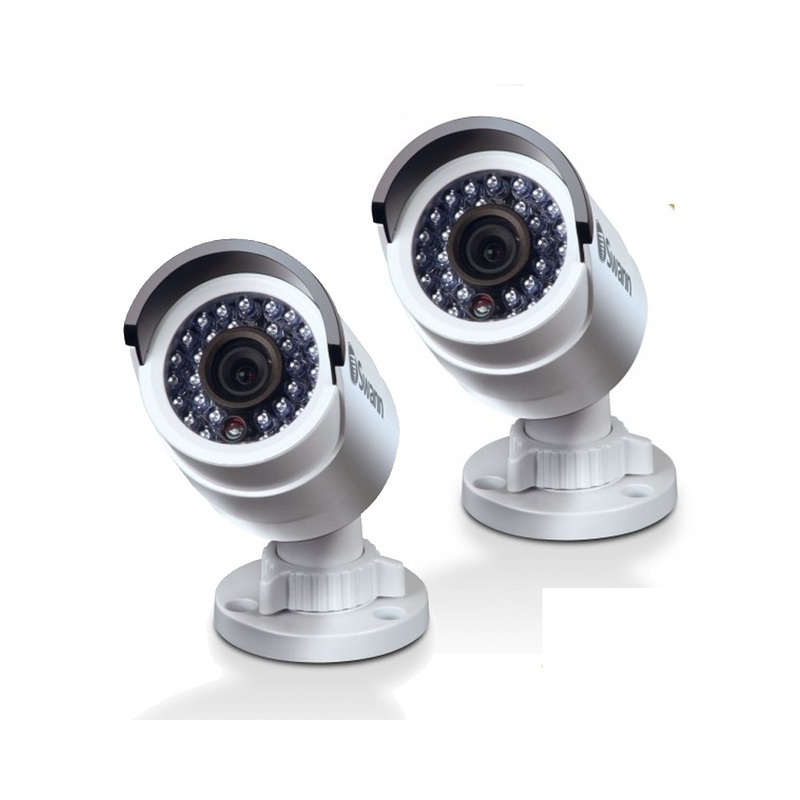 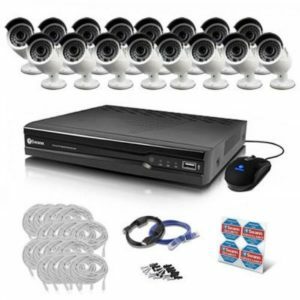 This package includes two cameras, and each of the cameras can only be used with the company’s 3MP NVRs.